OTTAWA -- Canadian Senator Dennis Dawson likens the emergence of driverless cars, and their potential as economic and social game-changers, to the original arrival of the automobile, with one crucial difference. “I’m sure they had this debate when they were talking about the first cars that were developed 100 years ago. The buggies, the horses, the guy who puts horseshoes on who will lose his job. And that’s true, and it’s going to happen again,” says Dawson, chair of the Senate’s transport committee. That furious pace is adding urgency to a Senate study of the regulatory and technical issues surrounding the deployment of connected and automated vehicles, even if no one is sure when self-driving cars and trucks will land in Canada, or how they’ll work when they get here. The goal is a roadmap, if for now drawn in broad strokes, meant to help federal, provincial and municipal governments navigate the autonomous revolution. Between March and June, Dawson’s committee heard from more than 40 witnesses representing a who’s who of carmaking and technology in Canada. Among them: Mark Nantais, head of the Canadian Vehicle Manufacturers’ Association; David Adams, president of Global Automakers of Canada; and top officials from General Motors of Canada, Ford of Canada and BlackBerry. It heard from university researchers and consumer advocates, from legal experts and federal Privacy Commissioner Daniel Therrien. 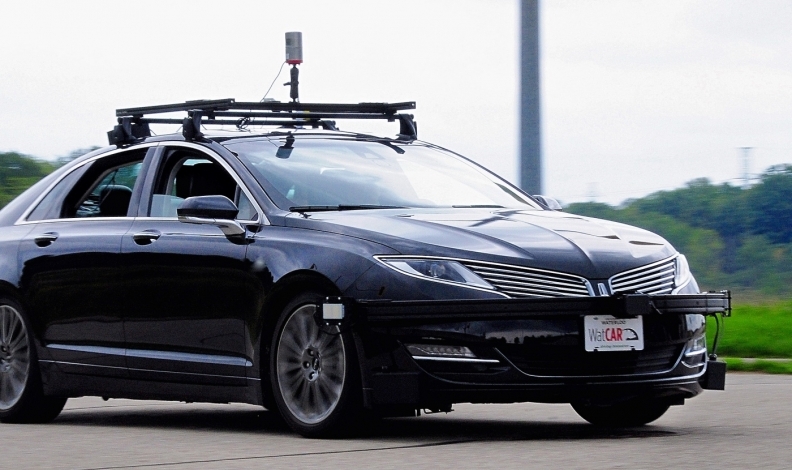 And it’s gone on field trips, most recently to an autonomous vehicle research centre operated by BlackBerry subsidiary QNX in Ottawa’s tech suburb of Kanata. More hearings will take place in September, says Dawson, with a focus on the social implications of driverless vehicles. The committee expects to submit a report to federal Transport Minister Marc Garneau in December. “It is a vast study,” says Dawson, pointing to the potential gains in safety and efficiency, and the cost to privacy as cars become as knowledgeable as our cellphones about our movements and shopping habits. Jobs too could be lost as computers and radar supplant the role of truck and taxi drivers. And even as cars share information to avoid collisions and adjust for traffic and weather, governments will need to work more closely to coordinate vehicle safety, a federal responsibility, and traffic enforcement and road design, which come under provincial jurisdiction. Public highways are already serving as laboratories in the United States, but in Canada the first widespread testing could come on forestry and mining roads, a witness told Dawson’s committee in June. David Michelson of the University of British Columbia said private and limited-access roads offer a huge test-bed for AV development addressing Canadian geography and weather. “In British Columbia alone, over 620,000 kilometres of resource roads serve the natural resources centre, remote communities and recreational sites,” said Michelson, co-chair of the Intelligent Transportation Systems Society of Canada committee on connected vehicles. Dawson said his committee will need to continue to monitor autonomous development after it submits its report because of the certainty that new technology will emerge to disrupt transportation, just as electric-car maker Tesla did.